I've been using this ammo in my Sig Carry Scorpion for the last year now and have yet to have any type of failures. I've been so impressed by it that I've switched all of my CC guns to the HST rounds. Excellent ammo from an excellent supplier (Lucky Gunner). Once again, I got Lucky. A great price, a superior product, and amazing service. These HST's functioned perfectly in my new XDs. Lucky Gunner comes through again! Thank you. Federal HST in .45ACP has become my go-to round. It feeds in all of my 1911's. Expansion is outstanding and consistent. You will pay the same for 20 rounds of other comparable loads, great value in the 50 round packaging. I have bounced between the Hydra-Shok, the Hornady Critical Defense, and Critical Duty before finding this cartridge. It doesnt expand as reliably as the Hornady when fired through oddball obstructions like heavy automotive glass, and car tires but when it does expand BOY DOES IT EXPAND! It averages about 1in in diameter when fired into ballistics gel from a Sig 1911 Tacops. This has been a very reliable cartridge. Sealed case and primer, reliable and consistent velocity, penetration depth, and uniformed expansion. I have no problem reccommending this cartridge to someone for personal self defense! Good ammo, good value and great service. Accurate ammo with good expansion in my water tests. First order with you guys and I'm completely satisfied so far. I shot through a box of these HST's in an XD's and had no issues. Very accurate and reliable so far. Thanks. My Colt 1911 Centennial (with both factory and Wilson Combat mags) likes SAAMI loads and hates +Ps (eliminating many great defensive .45 ACP cartridges) and even low-pressure JHPs could be iffy. 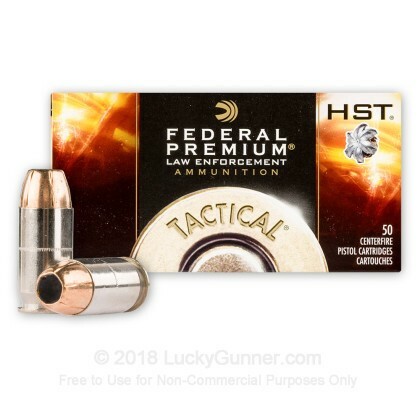 What a delight to find that Federal Premium HSTs push both the velocity and energy levels of a 230 gr bullet to very effective defensive levels and expands to awesome proportions, all for a very affordable price--when you can find them. 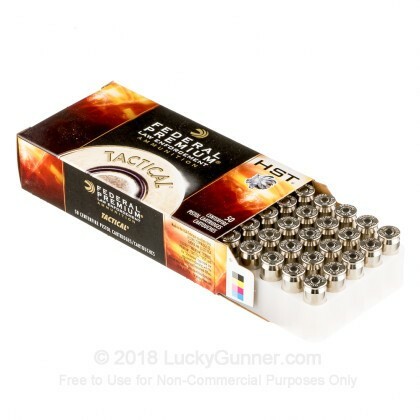 I look to Lucky Gunner regularly for range rounds, but it's great to see hard-to-get defensive cartridges like these available from them when the big-box retailers run dry. I'll certainly be back for more. Just reviewed the little brother of this stuff, Federal's P9HST1 in 9mm. 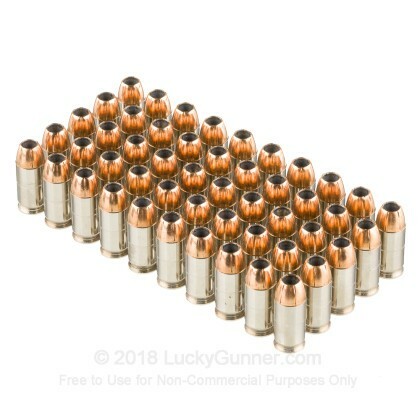 Both the 9mm and the 45 ACP feed perfectly in all of my Kimbers. I have replaced all of my personal defense ammunition with these. Great service from Lucky Gunner as well. When I got my HK45 I decided to start my trials out with a couple boxes of the Fed HST Premium LEs and Speer Gold Dot LEs. I went out a couple times to put a box of each down range and the HSTs won by a decent margin. I was impressed with both rounds, but my groups were consistently tighter with the Fed HSTs. Neither of the rounds had any FTFs or FTEs, so I decided to order more of the Fed HSTs, but will continue testing out different HD rounds to see if anything can top them. 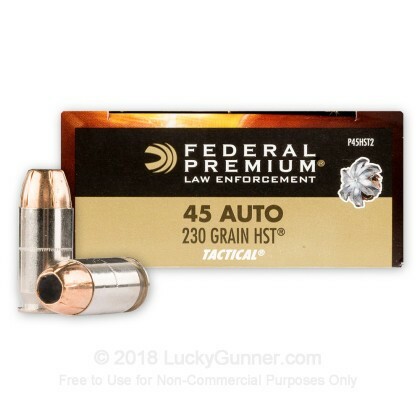 It is Federal 230 grain HST, gives minimal flash, works in after market barrels. This is allot cheaper in the 50 round box than the 20 round ones I see. Haven't fired any yet, but the boxes are in great shape and the ammo looks new. 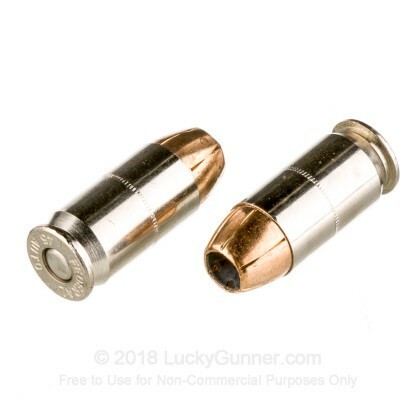 Lucky Gunner seems to be the ONLY outlet for Hollow Point ammo. These were selling at a great price. I use the Federal HST in 45, 40 and 9mm. All of them have performed well with no malfunctions. These can be a little hard to find unless you are paying too much for them so the price was right and I bought. Will buy more in the future is the price is right. Great price from Lucky Gunner. Box of 50! , not 20 rounds. If you have a 1911 45 ACP pistol this is your best bet. Pretty much guaranteed to function in your 1911 pistol 100% of the time. Ordering couldn't be easier, and what a selection! 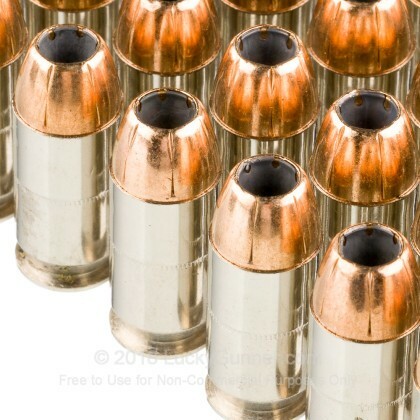 These hollow point are for home proction mostly. I shot two clips at my outdoor range and was very impressed! Flawless... Nothing else describes Federal ammo, and luckygunner just ads to it. We also have this 45 ACP - 230 Grain HST JHP - Federal Premium Law Enforcement - 1000 Rounds ammo in stock in a bigger quantity.